6.2 Cu Ft DC Solar Powered Refrigerator Free-Standing Off-grid Travel Outdoor. 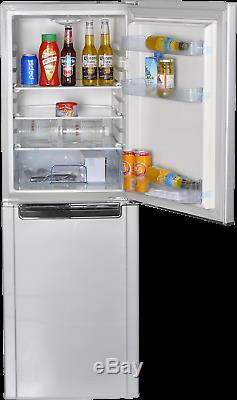 SMAD Solar Power Fridge & Freezer Series is specially designed to take advantage of solar energy. Our Solar Power Fridge & Freezer with a specially patented and uniquely designed compressor are reliable and also allow our appliances to be powered and operated by solar panel and AC electricity(The 110V-120V AC adapter comes with package). SMAD Solar Power Fridge & Freezer is a DC appliance, which means that it does not require the addition of an invertor for operation. 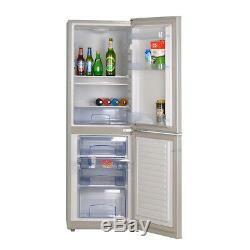 Note: The prices are only for the refrigerator/freezer, does not include the price of solar panel, battery. Electricity(By AC adapter, The 110V-120V AC adapter comes with package). High temperature resistance design and energy saving design. Double Door, enough large volume to meet your needs. Fully hermetic compressor with integrated control electronics. With upper freezer compartment and lower refrigerator compartment. Cooling performance: 0-10 (32-50) for refrigerator compartment, max -0.4(-18) for freezer compartment. 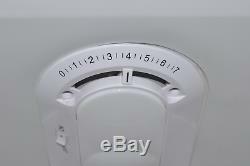 Automatically turn off when low input voltage to protect product. 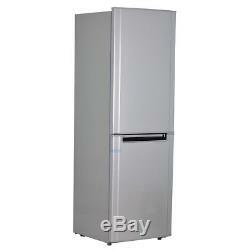 The refrigerator is ideal for installation in homes, farms, cottages, catering trucks, caravans, chalets or similar place. With its function and unique design, you will enjoy the convenience and comfort for years to come. ×20"(D)×51.5"(H). Accessory : DC Cords ; AC Adapter. The solar refrigerator can be powered by DC. Then the adapter can convert it to 110V, then the refrigerator can work well without solar panels, battery, controller, This is the simplest method. At night and raining and cloudy, the solar panel can't absorb the sunlight, the spare battery has enough electricity, the battery can be directly connected the solar freezer to power, and the solar freezer can work well. It is also used for car, boat, 4WD, motorhouse, Caravan, Truck, marine. Accessory: Solar Panel, Battery, Controller. The solar panel converts sunlight into DC power or electricity to charge battery, This electricity(charge) is controlled via a solar controller which ensures that battery is charged properly and not damaged and that power is not lost/discharged. Solar refrigerator/freezer can then be powered directly from the battery. Note: Do not leave us a PO BOX address where large package cannot be delivered. Your satisfaction is our first thing to be considered. The item "6.2 Cu Ft DC Solar Powered Refrigerator Free-Standing Off-grid Travel Outdoor" is in sale since Friday, December 7, 2018. 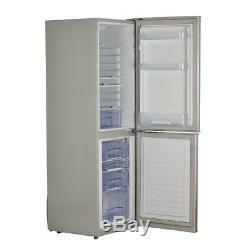 This item is in the category "Home & Garden\Major Appliances\Refrigerators & Freezers\Upright & Chest Freezers". The seller is "smad_01" and is located in Bell, CA. This item can be shipped to United States.